65yo lacerated the palm of his hand injuring the palmer artery. 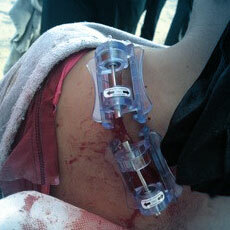 Nurse applied the iTClamp in less than 20 seconds in the ED. Patient pain was minimal (3/10). Patient showed laceration to the shoulder from a hunting knife. 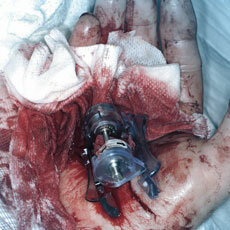 Used two clamps to seal the wound and transport was 30 minutes to the hospital where EMS removed the iTClamps. 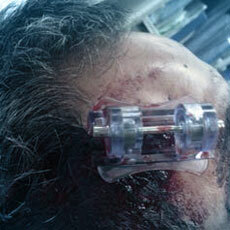 10cm arterial laceration in the head with pulsatile bleeding from a MVC. iTClamp was applied and stopped the bleeding. The arterial bleed was sutured in the ED. ©2015-2019 Innovative Trauma Care, All Rights Reserved.